A garage is a place for work, but it does not have to be a dead space. In fact, you can add some details to the area to bring it to life. By sprucing up this space, it will go from an eyesore to an eye-catcher. The lighting around your home is important for safety and security. This extends to your garage area as well. Small lights along the driveway add a touch of beauty to the area. They also give you a sense of boundaries when you are walking or doing other activities. Consider purchasing motion sensor lights to place by the garage and again by your front door. These lights won't keep your neighbors awake. They will alert you when someone or something is in the area so you can address it. Don't forget a floodlight for above your garage door. It is important to see your entire surroundings. The addition of a floodlight gives you better lighting for unloading your vehicle. Bring the area around your garage to life with some easy to care for plants. They add a touch of color to an otherwise dull space. Consider plants that do well in shade. Choose plants that thrive in the shadeand in your soil type. Think about blending this small garden in to your other front facing garden. This adds a sense of uniformity and draws visitors eyes across the entire property. Keep the plants on the smaller side. This will help deter people or animals from hiding in them when you are not home. The final tip for bringing life to the area is a covered outdoor space. Consider buying or building a pergolaor other outdoor coverage for your plants to grow on. Choose a model that is large enough for you to work under as the weather allows. Ask your family for their input on the extra structure. Look around the front of your home and use it as a guide when deciding the style of this addition. Creating a uniform look from your garage to your home brings the picture together. Invest some time into this otherwise drab space to add more curb appeal to the home. These extra touches might help sway potential buyers if you put your home on the market in the future. 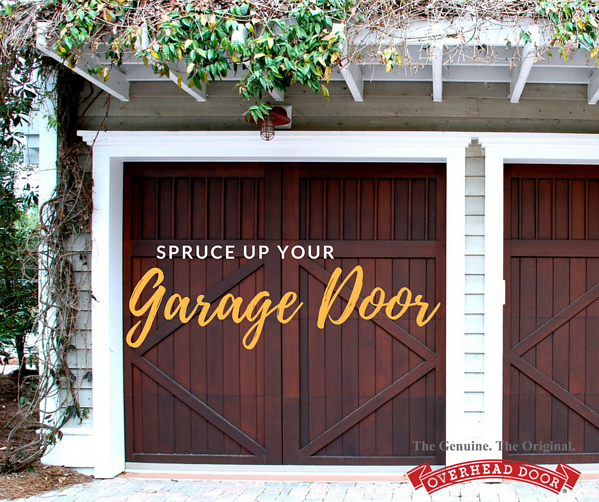 For more upgrades to your garage door, contact Overhead Door of the Permian Basin™.